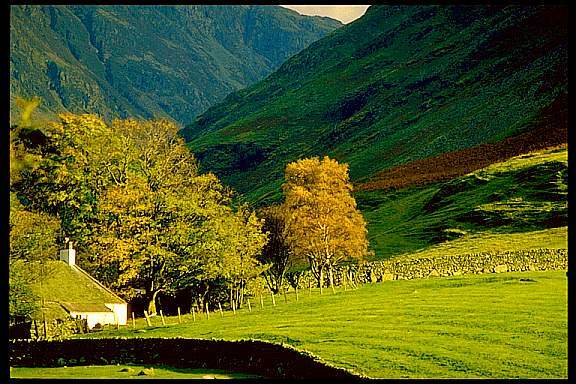 At the head of the lovely lake of Buttermere are a few cottages, and in Autumn, some wonderful trees! We don't have the vivid colours of New England, but the kinder,softer colours of the English autumn are a wonder to behold - and not very easy to portray accurately, either! Steep mountains in shadow give a wonderful background for any well-lit subject.